Every guitar player eventually takes that big step from beginner to intermediate status. You may know not exactly when the metamorphosis happened, but it’s a pretty great feeling when you realize you aren’t a newbie anymore. As an intermediate player you still have a lot to learn, but you’ve also come a long way. You know your instrument better, and you’ve set some goals for yourself as a musician. You’ve also come to expect a lot more out of your gear, and it might be time to step up from that starter guitar you’ve been playing. But, when you begin checking out your options, it’s easy to get lost and start feeling like a beginner all over again. How do you know the difference between a guitar brand you can count on and one that will let you down? One way to separate the wheat from the chaff is to look at the brand's track record and history. Some acoustic guitar builders have risen above the others over the years, and for good reason. If you need a new instrument, these companies are a smart place to start your search. You don’t need to spend a fortune to grab a quality guitar, either. 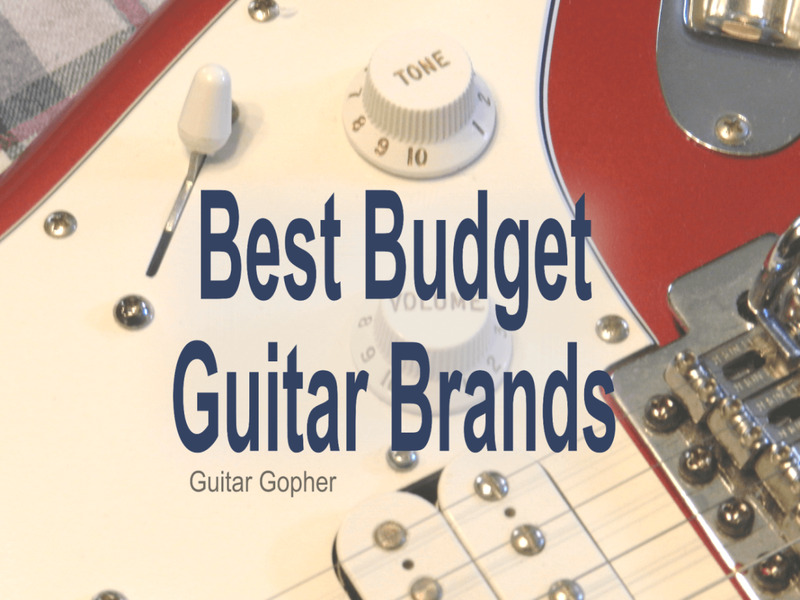 While many of the companies listed in this article are known for amazing, high-priced instruments, they also have some affordable options in their lineups. For the purposes of this article, I’m thinking of guitars in the $500-$1000 range. 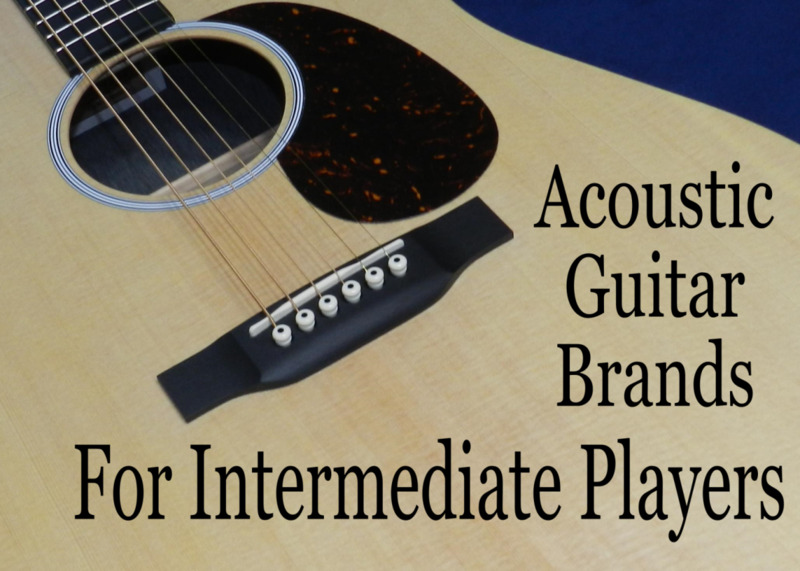 You’ll also find some of the same companies I recommended in my article on acoustic guitars for beginners. As an intermediate player you are truly stuck between two worlds, but that’s a good thing. It means a lot of choices, and some affordable options. As usual, I encourage you to do your own research, but I think this article will set you up with a good starting point. 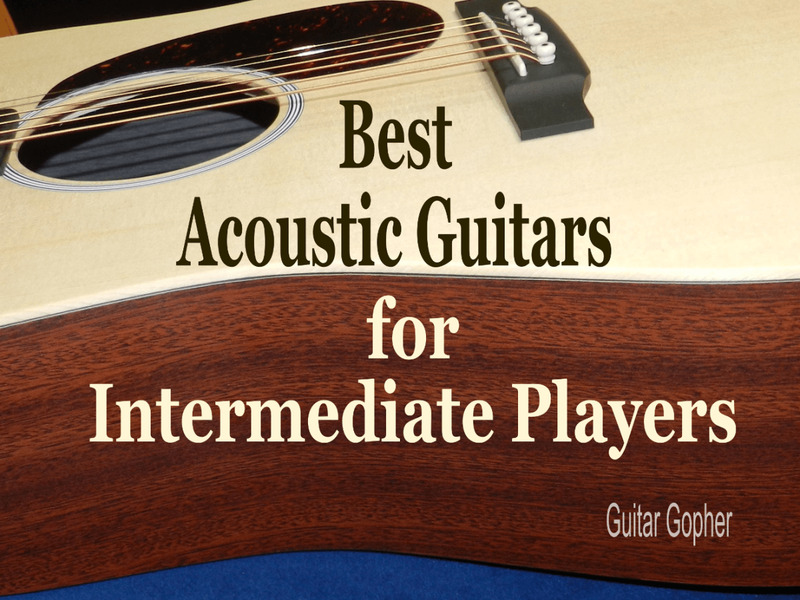 Here are the best acoustic guitar brands, for intermediate players, according to me. C.F. Martin and Co. has been around a long time, and their reputation as one of the giants of the guitar world is well deserved. They even gave us the first dreadnought-body guitar back in the 1930s, a design now standard today. Since then they’ve produced some of the most iconic acoustic instruments in music history, such as the D-28, D-45 and D-18. Martin makes some pretty are expensive instruments, worth every penny if you can afford them, but you might be surprised to see them recommended for intermediate players. You’ll probably be equally surprised, then, to find out you don’t have to drop a ton of cash to grab a great Martin acoustic. Martin X-Series instruments are affordable, based on classic Martin body designs, and they sound great. They also utilize alternative materials and build methods, and incorporate Sustainable Wood Certified parts. That’s means they are a little easier on the environment. One X-Series guitar I love (and own) is the DX1AE. 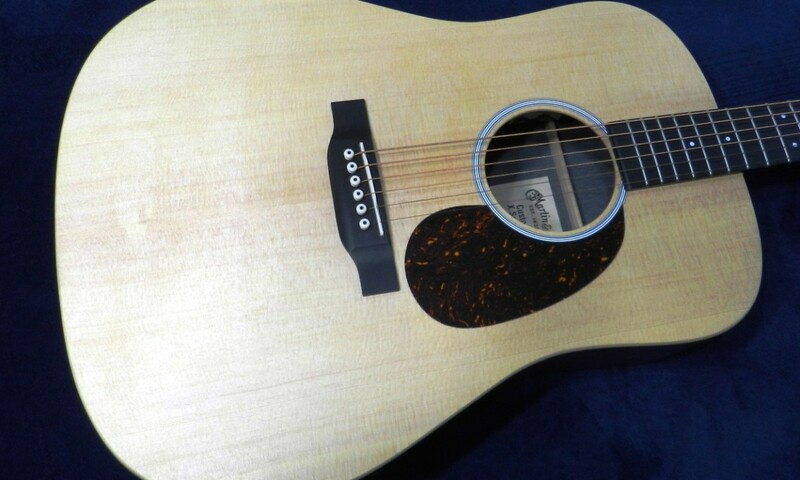 It’s a dreadnought-body acoustic for well under a thousand dollars, and it sounds fantastic. If you have your heart set on a Martin but you don’t have a deep wallet, this guitar is a solid choice. Seagull is an acoustic guitar brand that, in my opinion, offers some of the best value you are going to find. Where some guitar builders make their mark with high-level, high-dollar instruments, Seagull is a company that really excels at bringing us mid-priced guitars of outstanding quality. This is a Canadian company, the same guys responsible for Godin guitars, and their instruments are made right in North America. The Seagull S6 Original is among the best bargains out there, and it comes in under $500. I really consider this more of a serious beginner guitar, but it’s a great choice for intermediate players on a tight budget as well. The S6 Series gives you a bunch of different options, from a Slim design with a slightly narrower neck to tonewood options like mahogany and spruce. Or, if you have a few extra coins in your pocket, you can move up to the Maritime Series. These are all-solid-wood guitars, but they still come in at prices that will keep you within your budget. For guitar players looking for value, Seagull is a great option. Taylor hasn’t been around nearly as long as Martin, but nonetheless has risen to become a strong competitor. By comparison (and speaking very generally), Taylor guitars are a little more modern, while Martins typically have more of a vintage vibe. Both are outstanding guitar builders, and you owe it to yourself to check them both out if you are considering a new acoustic. Like Martin, Taylor’s high-end instruments command thousands of dollars. But, as a player on a budget you can find some excellent instruments in Taylor’s lineup as well. I recommend checking out the 100 Series for some great guitars under a grand in classic Taylor body styles. I seriously considered the Taylor 110e back when I purchased my Martin. I ended up liking the Martin just a little bit better, but the Taylor is still a great guitar for the money. If you like the idea of a dreadnought-body acoustic-electric guitar I’d give it a hard look. Or, look to the legendary Taylor Big Baby, an affordable instrument with a slightly downsized body. This guitar has been a favorite of hobby players and intermediate guitarists for years thanks to its affordable price and great sound. Yamaha is a company that excels pretty at much everything they do. 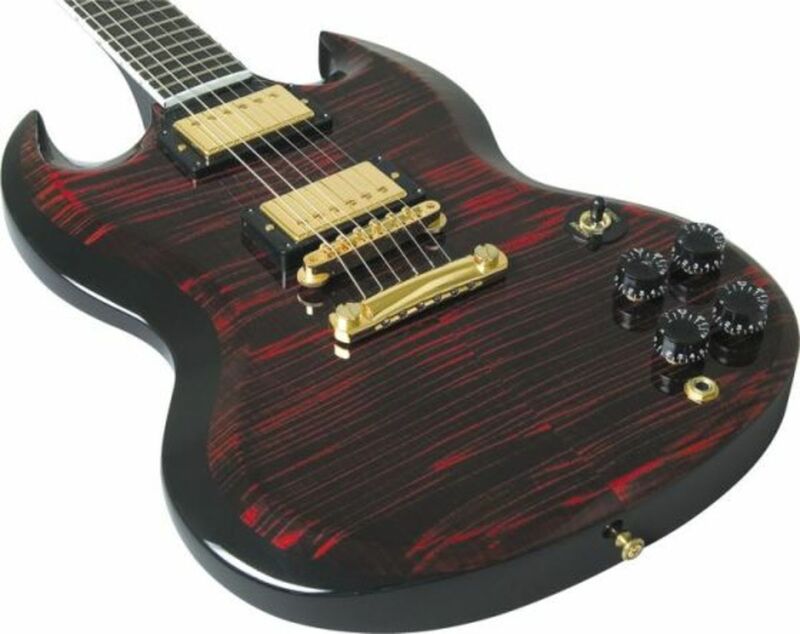 They make outstanding electric guitars, basses, keyboards, band instruments and, of course, acoustic guitars. But, where I think Yamaha is really the best of the best is when it comes to beginner guitars. I almost always recommend Yamaha as the brand newbies should turn to for affordable, quality instruments when they are first starting out. You’re beyond that point now, but you shouldn’t forget about Yamaha. You’ll find some excellent mid-priced instruments in their lineup that hold to the same high quality standards. In particular, you’ll want to check out the LL and LS Series instruments. These guitars feature solid Engelmann Spruce tops, solid Indian rosewood backs and sides and ebony fingerboards, excellent electronics in the SRT Zero Impact Pickup, and some very pretty binding and fretboard inlays, all while keeping your around your $1000 budget. The difference between the LL and LS comes down to body size. 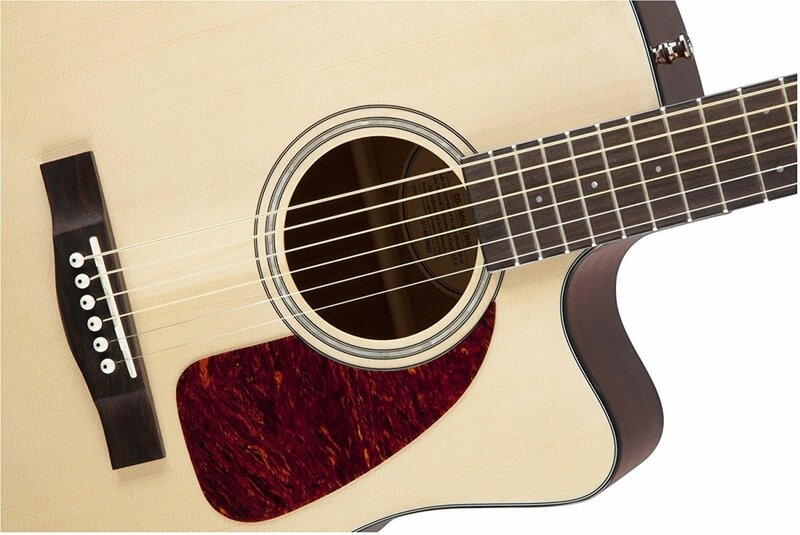 LL guitars have full-sized, dreadnought-style bodies, where the LS Series has a slightly smaller body style. Both are great designs, and it comes down to personal preference. Gibson is a company well-known for iconic electric guitars like the Les Paul, SG and Flying V, but they have made their mark in the acoustic guitar world as well. Instruments like the Hummingbird and SJ-200 aren’t as well known as their electric counterparts, but they are no less impressive. Remember: Gibson was around long before the electric guitar was invented, and they know how to build a quality acoustic. However, you aren’t going to land a Gibson in your intermediate-level price range. Instead, check out Epiphone. This is a company owned by Gibson, and licensed to make guitars to their specs for much less cash. Going with an Epiphone is a smart way to get much of the good stuff a Gibson has to offer without busting your piggy bank. The Epiphone EJ-200CE is their electrified version of the classic Gibson SJ-200. The Humingbird PRO is an affordable version of the Gibson Hummingbird. However, for the money I think intermediate guitarists are smart to take a look at Epiphone Masterbuilt instruments like the AJ-45ME. With its classic design, all-wood construction and affordable price tag it is tough to beat in this price range. Ovation: This is a brand that some players love, and others don’t quite get. 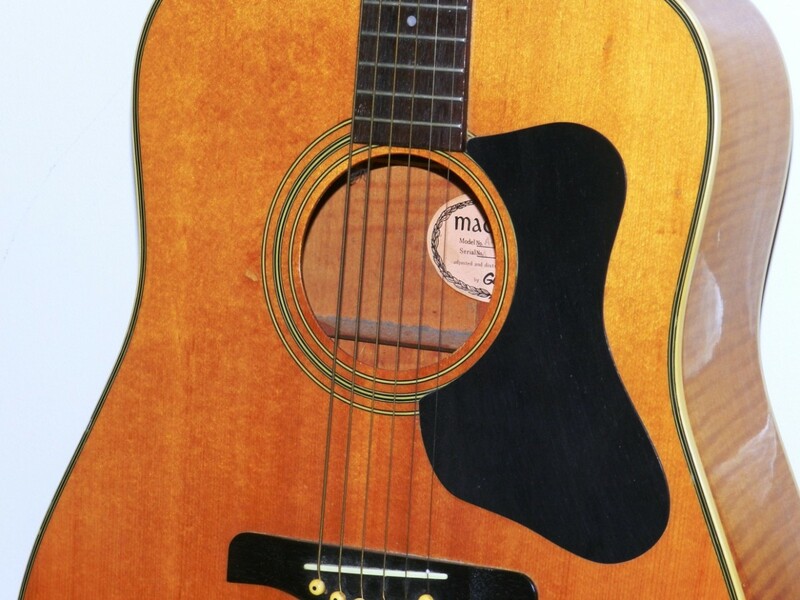 They build acoustic-electric instruments with a unique and innovative design technique where the back of the guitar is a bowl shape, and made from a synthetic material called Lyrachord. It might sound super modern, but Ovation has been around since the 1960s, and this design has stood the test of time. It’s a different kind of guitar, and not for everyone, but I think this is one of those don’t knock it ‘til you try it things. So check out an Ovation and decide for yourself! Breedlove: I have become increasingly enamored with Breedlove, enough so that I decided to mention them here. Breedlove guitars have a unique look, and some excellent appointments. This is another American company based out of Oregon, and their instruments (to me) seem to capture the woody vibe of the Pacific Northwest. You can find options in the Breedlove catalog for every kind of player, including affordable models, such as those in the Discovery Series. Breedlove may be a lesser-known name compared to some on this list, but I suggest checking them out. Fender: Surprised to see Fender here? You shouldn’t be. This is the company that brings us electric guitars like the Stratocaster and Telecaster, but they also have some interesting acoustic guitars in their lineup. You’ll find guitars for advanced players, higher-priced instruments such as those in the Paramount Series. But if you are a beginner or intermediate-level player you’ll want to check out guitars in the California Series such as the Kingman, Sonoran and funky T-Bucket. Guild: Along with Gibson, Martin, and Taylor, Guild rounds out my “Big Four” of top acoustic guitar companies. They have a storied reputation in the guitar world, and many world-class musicians have chosen to play a Guild. This company also has special place in my heart. 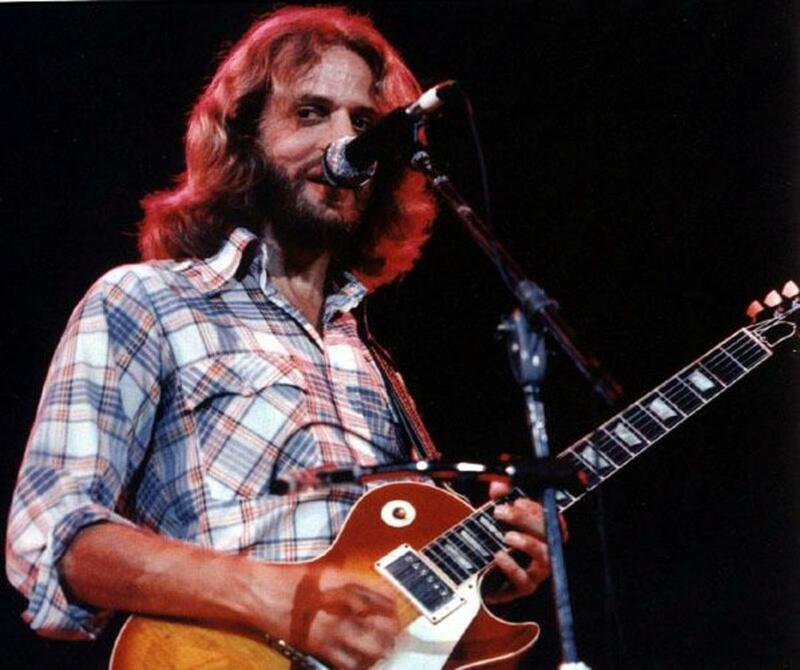 When I was a kid my first real acoustic guitar was a Madeira by Guild, an affordable import. I still have it today, over 30 years later. But these days Guild makes plenty of affordable guitars under their own brand name. 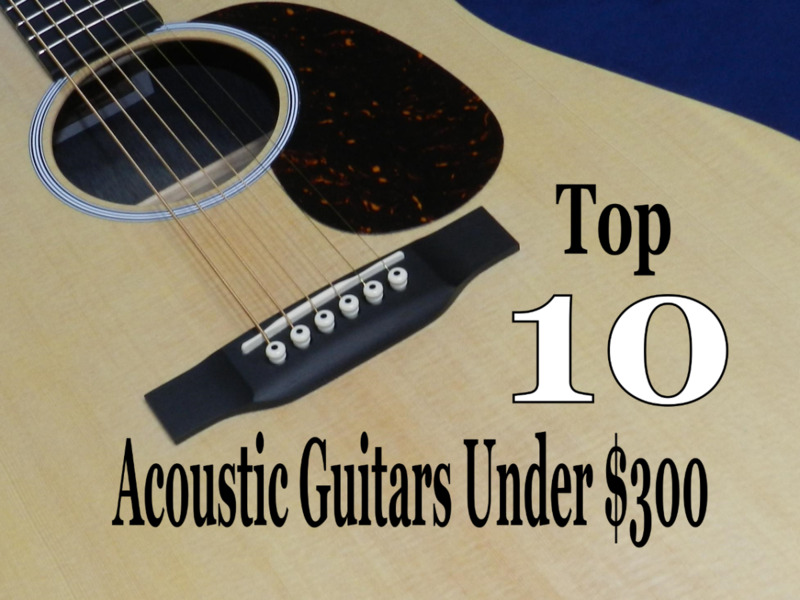 Check out their 100-Series acoustics for some awesome choices under $1000. My Madeira (by Guild) - hanging in there for over 30 years. My listing of the top acoustic guitar brands is based on my own personal preferences. Check them out and choose for yourself. Only you know what is best for you, but being informed is a big part of making a good decision. That’s the point of this article. You know what I think, and you can take it from there. Maybe you’ve been around guitars long enough to already have your own opinions. Every time I write one of these articles I always get semi-angry comments asking why I didn’t include this brand or that. The reason is simple: I write these based on my own opinions and experiences. However, if your experience is different I’d love to hear from you. Don’t get mad; just leave a comment telling me why you think your favorite acoustic guitar builder should have made the list. Please don’t drop any links, though, because those comments won’t be accepted. Good luck moving up the ranks in the guitar world. The jump from beginner to intermediate player is no small accomplishment. Keep at it, and you’ll have a great career ahead of you. Of my top 5, which is the best choice for intermediate-level players? @Michael - Have you checked out the Epiphone Masterbuilt Series? They're sort of a step up from your Epi but a step below Gibson. Great guitars, but still affordable. Good luck with your decision. You're right - there are a lot of options out there. Currently own a Epiphone AJ220 but want to move up to an electric acoustic instrument. Lots of nice looking guitars out there but I need a push to can't make up my mind.